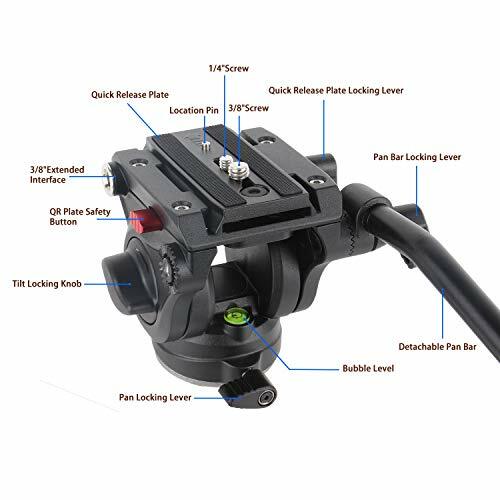 Professional video head with quick release plate, with a dual convertible 1/4" and 3/8" mounting screw to be fit for video shooting. 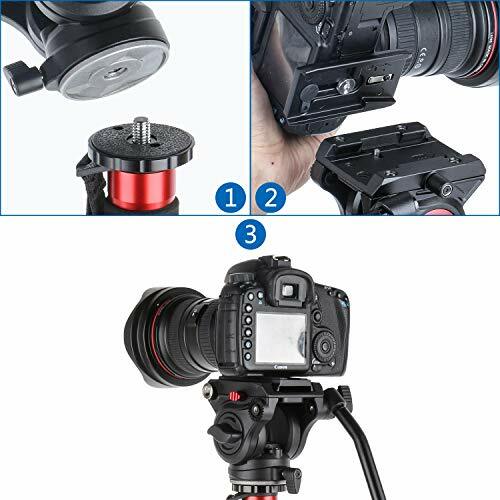 Standard 3/8" threaded screw hole on the bottom , makes the suitable for all tripods, monopods, light stands and camera sliders. 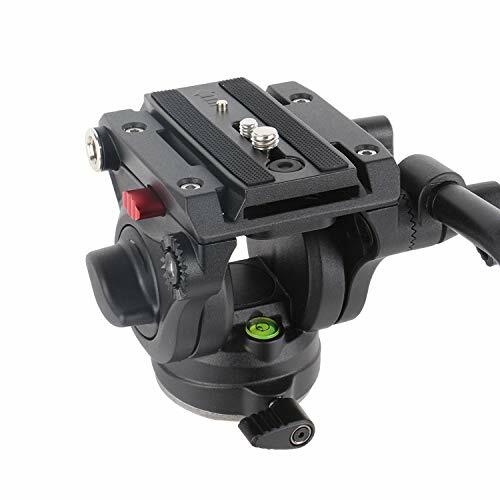 Security locking knob can well prevent the equipment from falling off accidentally, and professional bubble levels help to keep the stable shooting to adapt to different environments. 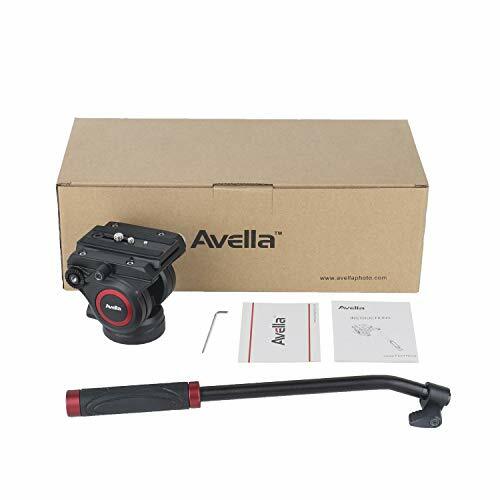 Avella V501 Video Camera Tripod Fluid head for your , 1/4" screw and 3/8" screw hole make it possible to mount on almost all devices, 360° rotatable ball head and detachable handle make it convenient for you to adjust the angle to suit your needs better. Fine tuning know of hydraulic damping system makes it possible for you to adjust it accurately. A perfect choice for both professional photographer and shutterbug. 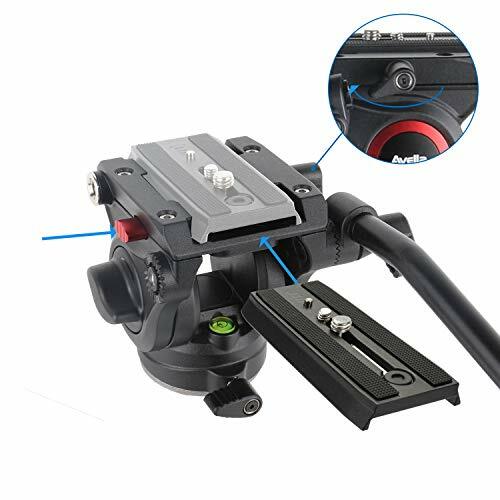 -Bottom with 3/8" screw hole to mount on almost all types of tripod. 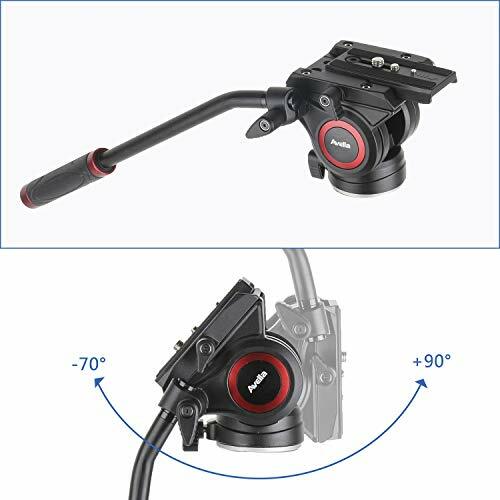 0-180° hydraulic damping system to avoid your camera shaking, provides perfect images and videos for you. 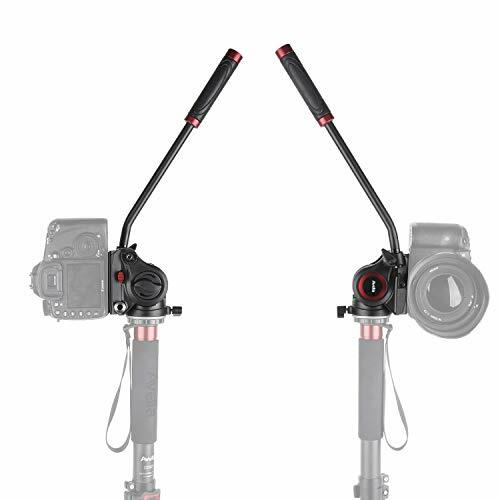 Detachable handle with 360° rotatable design, you can change the direction and angle of the handle as you need.